The days can be long and tiring – heck, one shift can totally put you over the edge! 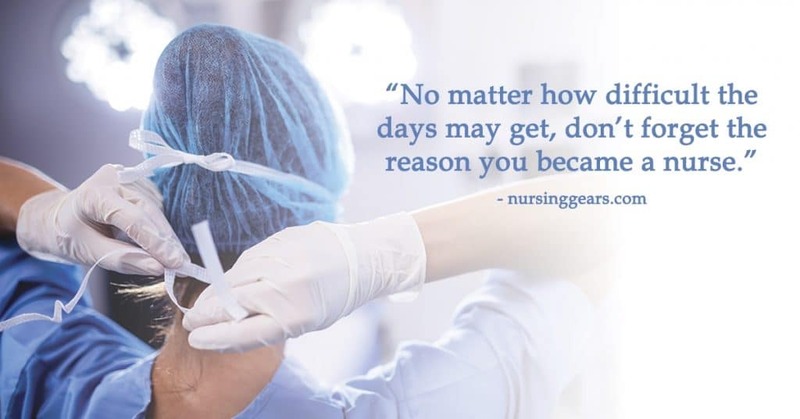 When these moments come…and they will – remember the reason why you became a nurse in the first place. Did you want to follow in your grandma’s footsteps? Did you care for an ailing family member? Did you want to give back to those in need? Whatever the reason might be, remind yourself on a daily basis. Ignite the passion that got you interested in this field in the first place. Now, is this the magic eraser to delete a bad day? Well, that would be nice, but no. However, rehearsing your “why” could be the ticket you need to jump start your shift.